Due to some board security issues with our older version of phpBB software, we are going to be upgrading the board this weekend. I am backing up the entire board tonight 11/13 and I will most likely take the board on and offline this weekend 11/15-11/16. Hopefully this will solve most of the security issues we have been facing lately. The major thing this will do is eliminate the guest read access to the board and member profiles and only registered accounts will be able to read and/or post and hopefully there will be hidden email address features and other security features in this new software as well. Thank you for your patience. Thank you bjcollin. May the Lord bless your work. 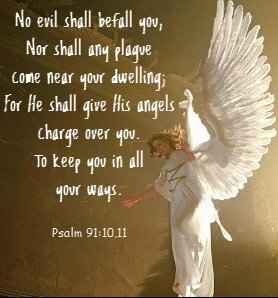 Praying for the ministering angels and warring angels to keep watch over this undertaking. It's with a heart full of gratitude I say thank you from all of us here at Tehillah. bjcollin wrote: Due to some board security issues with our older version of phpBB software, we are going to be upgrading the board this weekend. I am backing up the entire board tonight 11/13 and I will most likely take the board on and offline this weekend 11/15-11/16. Hopefully this will solve most of the security issues we have been facing lately. The major thing this will do is eliminate the guest read access to the board and member profiles and only registered accounts will be able to read and/or post and hopefully there will be hidden email address features and other security features in this new software as well. Thank you for your patience. Wow. And thank you. That's massive. Praying for smooth transition and all going well. How is it all going Brian? I take it that things haven't happened as quickly as you planned? Sorry if any of you got failures on wed or fri this week... failed 3 times to install new board... I am still working on it tonight. Thanks. May we ALL FIND the healing in the Lords wings and be still to absorb all we can. BJ, your avatar speaks volumes to me. Every time I see it I thank Papa for you and all you do here. I cannot begin to imagine the time you invest in keeping us up and running and....safe. Eph 3:8...proclaim to the Gentiles the unfathomable riches of Christ 9 and...enlighten everyone about God’s secret plan—a secret that has been hidden for ages in God who has created all things. Updated our phpBB board software to the latest version 3.2.0 and installed some more anti-spammer countermeasures. Thank you. Thanks for all the hard work you put into making this board run, Brian.